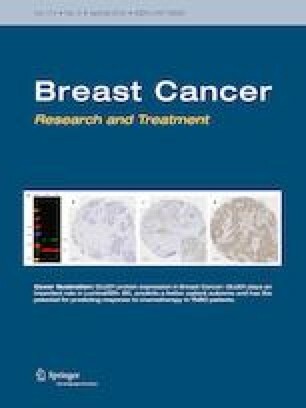 In early stage, ERα-positive breast cancer, concurrent use of endocrine therapy and chemotherapy has not been shown to be superior to sequential use. We hypothesized that genetic biomarkers can aid in selecting patients who would benefit from chemo-endocrine therapy. Our previous studies revealed that ZNF423 is a transcription factor for BRCA1 and an intronic single nucleotide polymorphism (SNP) in ZNF423, rs9940645, determines tamoxifen response. Here, we identified mitosis-related genes that are regulated by ZNF423 which led us to investigate taxane response in a rs9940645 SNP- and tamoxifen-dependent fashion. The Cancer Genome Atlas (TCGA) breast cancer dataset was used to identify genes correlated with ZNF423. Quantitative reverse transcription PCR, chromatin immunoprecipitation, and luciferase reporter assays were used to validate the gene regulation. We used CRISPR/Cas9 to engineer paired ZR-75-1 cells which differ only in ZNF423 rs9940645 SNP genotype to test SNP-dependent phenotypes including cell cycle and cell viability. We validated our findings in an additional two breast cancer cell lines, Hs578T-ERα and HCC1500. Mitosis-related genes VRK1 and PBK, which encode histone H3 kinases, were experimentally validated to be regulated by ZNF423. ZNF423 knockdown decreased VRK1 and PBK expression and activity. Additionally, ZNF423 knockdown enhanced docetaxel-induced G2/M arrest and cytotoxicity through VRK1 or PBK regulation. Lastly, cells carrying the rs9940645 variant genotype had increased G2/M arrest and decreased cell viability when treated with docetaxel in combination with estradiol and 4-OH-TAM. We identified ZNF423 regulated genes involved in the G2/M phase of the cell cycle. 4-OH-TAM sensitized ERα-positive breast cancer cells to docetaxel in a ZNF423 SNP-dependent manner. Our findings suggest that patients with rs9940645 variant genotype may benefit from concurrent tamoxifen and docetaxel. This would impact a substantial proportion of patients because this SNP has a minor allele frequency of 0.47. Gen Wang, Sisi Qin and Jacqueline Zayas have equally contributed to this work. The online version of this article ( https://doi.org/10.1007/s10549-019-05194-z) contains supplementary material, which is available to authorized users. We would like to acknowledge Thomas Spelsberg, Ph.D. for providing the Hs578T-ERα cell line. GW, SQ, and JZ participated in data acquisition, data analysis, and manuscript writing. GW designed the study and drafted the manuscript. SQ generated the ZR75-1 CRISPR Cas9 genome edited cell line. ML carried out the ZNF423 and 4-OH-TAM screens. JNI provided invaluable clinical expertise and assisted in manuscript preparation. RMW conceived the study, participated in the study design, and provided guidance in data interpretation. KS provided clinical advice and helped apply for the ChuYing Charity Foundation support. LW conceived the study, participated in the study design, coordinated the study, and is responsible for all data as described. All authors approved the final manuscript. This work was supported by The Breast Cancer Research Foundation (BCRF-18-076) and Eisenberg Foundation. GW was supported by ChuYing Charity Foundation. JZ was supported by the Mayo Clinic Medical Scientist Training Program (T32 GM065841) and Initiative for Maximizing Student Development (R25 GM055252). ML is currently affiliated with AbbVie and, however, was not at the time of involvement in this study. LW and RMW are co-founders and stockholders in OneOme, LLC, a pharmacogenomic decision support company. All experiments performed in this publication comply with US laws. There were no human participants or animals used in this study.